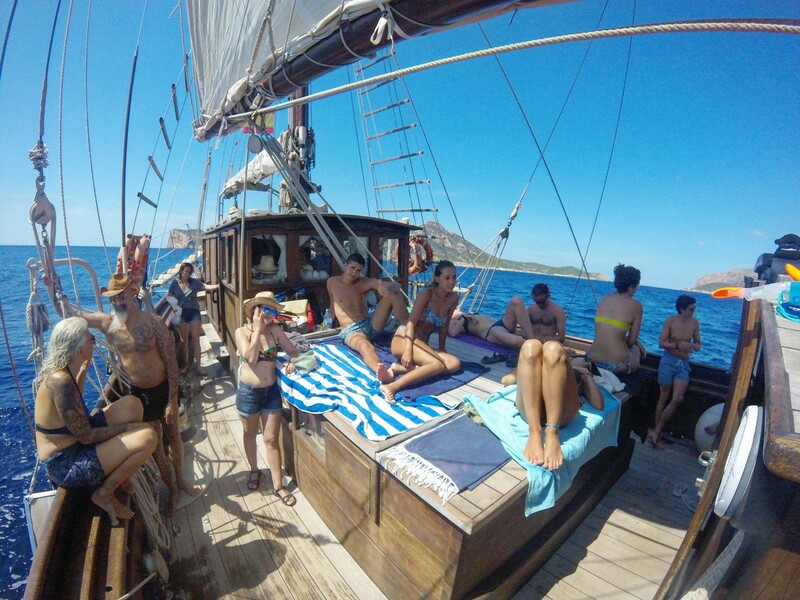 Maritime excursion in the bay of Palma de Mallorca on board the sailboat "Rafael Verdera". Built in 1841, it is currently the ship in service with the longest history of the Spanish fleet. We will depart from our mooring at the Paseo Marítimo in Palma. We welcome you on board with a cava. 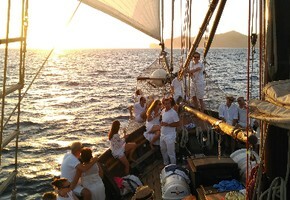 During the crossing we will taste an aperitif of flavours of Mallorca, accompanied by a wine, beer, cava, soft drink or water. We will sail towards an area of crystalline waters and once at anchor, you will be able to enjoy a wonderful swim, snorkel, discover the coast by canoe, row in the swings that the Verdera has suspended over the sea and under the bow or dive in the water jumping from so many different possibilities that the Rafael Verdera offers. 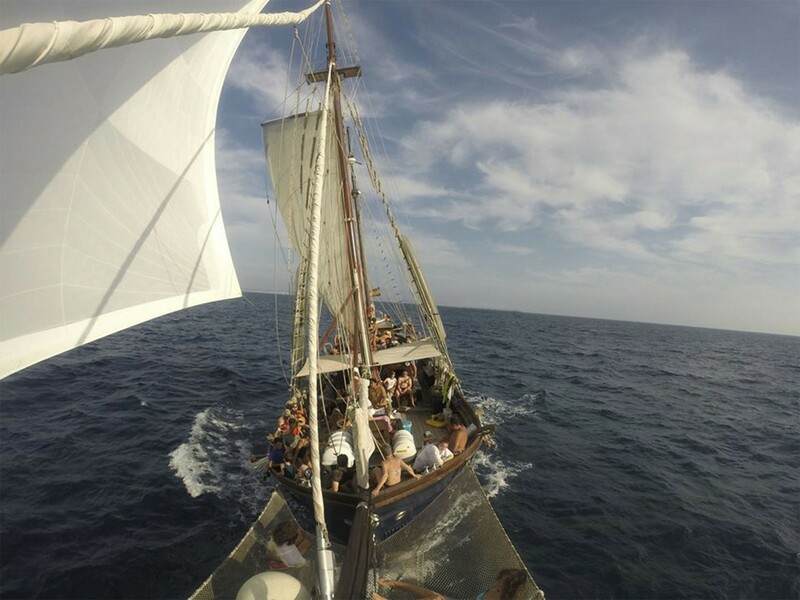 We will return sailing back in time and enjoying the sea, if you like you can help us in the maneuver of the sails. On the way back to the port you will be served a tasty Mediterranean salad meal and a variety of tapas prepared on board with local products. 1.- Mediterranean style chicken wings. Drinks of: water, soft drinks, fruit juices, beer, wine, during the day. Concktel bar service, alcoholic beverages other than those included. Everything that is not included in the list of included. Shoes and Comfortable Clothing, Thin heels are not allowed. No passenger or group is allowed to wear costumes or any particular celebration that disrupts the well-being of the rest of the passage. In the event of non-compliance, the Captain may disembark passengers who cause discomfort without compensation. Sunset Classic Sailboat, Sailing from 1841.